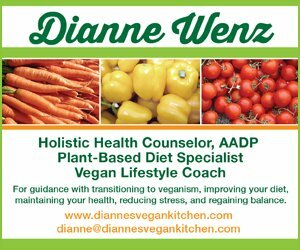 As a health coach, I’ve read a lot of books on vegan health and nutrition. After a reading a few, the info gets repetitive and all of the titles tend to blend together in my brain. I have to admit that I’ve sort of skimmed through the ones I’ve received recently to see if there’s any new info. Sometimes I’ve just read certain chapters relevant to what might be going on with a client or myself. 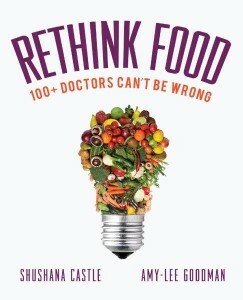 The newest vegan health book to be sent my way is Rethink Food 100+ Doctors Can’t be Wrong, which was compiled by Shushana Castle and Amy-Lee Goodman. 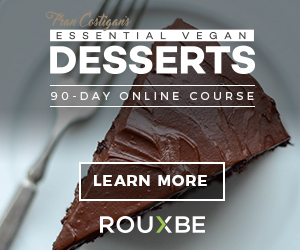 It features over 100 essays and articles about health and nutrition, and it’s actually perfect for people who want to skim and skip around, as each piece is just a few pages long. Of course, if you want to read it cover to cover, you have that option too. 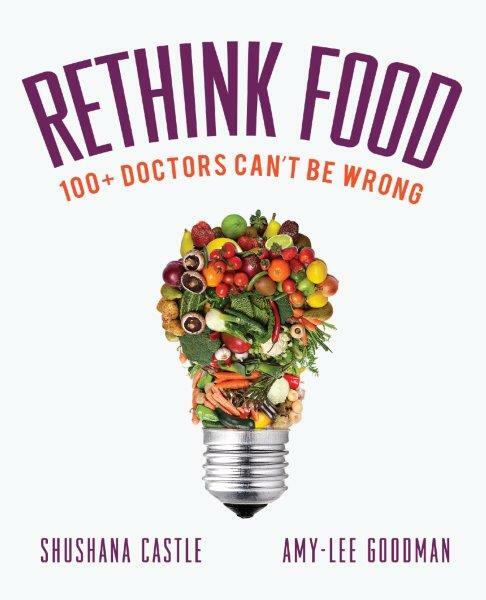 The experts featured in Rethink Food include people you may have already heard of, such as Dr. Joel Fuhrman, Dr. Caldwell Esselstyn, Dr. T. Colin Campbell, Dr. Michael Greger. 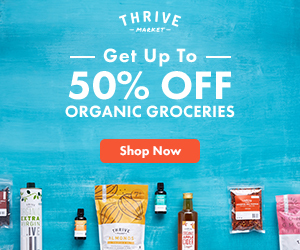 In addition to doctors, Rethink Food also features articles by registered dieticians, such as Jill Nussinow, and athletes, such as former NBA champion John Salley. Rethink Food begins with the authors’ owns stories to give us an idea of how they became interested in using food to heal. Amy-Lee’s sister developed debilitating juvenile rheumatoid arthritis at the age of 9, and was cured years later after removing dairy from her diet. Her entire family later converted to a plant-based diet. 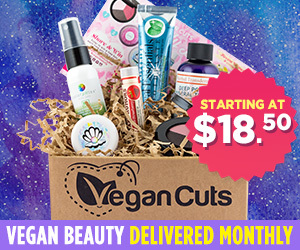 Shushana’s mother was in need of eye surgery to improve her deteriorating vision, but she ended up fixing her sight herself by adopting a vegan diet. What I love about Rethink Food is that the essays are organized by topics. The first chapter is called Diseases: The New Normal, and it contains articles about the problems with the current medical system and the modern day Standard American Diet. From there, the book goes into What’s Missing in Med School (hint: nutrition education) and a Walk Through the Body. Other chapters include specific topic of interest such as nutrition for athletes, women’s issues, men’s issues, digestive disorders, building strong bones and joints, and dealing with cancer. The book ends with hope for the future and how to take the next steps in dietary change. Whether you’re already vegan and have certain ailments you’re dealing with, or you’re thinking of adopting a plant-based diet and need a little swaying, Rethink Food is the book for you. With the info found within its pages, you’ll learn how reverse your symptoms and regain your health. You’ll also learn how to prevent disease, and you’ll gain knowledge that so much of today’s medical establishment is lacking. I wish Shushana and Amy-Lee all the best! Health and peace.